Breakfast cookies are a great way to encourage your kids to eat breakfast without feeling any guilt about a sweet treat. 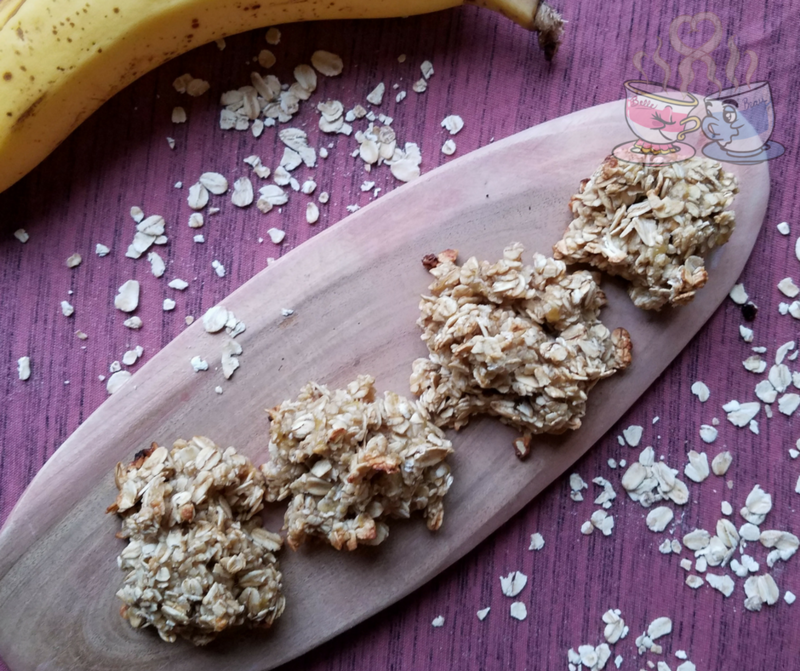 These Oatmeal Banana Breakfast Cookies are seriously yummy, and there is no added sugar in them. That means, as a mom, you can feed your kids cookies with no fears. Bonus? This recipe is only 1 SmartPoint per cookie! Another great and easy recipe that takes about 5 minutes to prepare, and only 12 to cook. That’s what I call a new favorite. I made these in a small batch since I was experimenting, but this recipe easily doubles or triples. Making these was a way for me to have some good breakfast options that are fast. However, I discovered they make a great snack, and I needed to make larger batches because my son kept grabbing them when I wasn’t looking. For once, I didn’t get upset when he had a couple of cookies before dinner. Mix oats, cinnamon, and cinnamon if desired. Scoop around 1 heaping tablespoon of mixture onto the prepared (sprayed) baking sheet. I use a silicone baking mat. While I am not affiliated with Weight Watchers, I do use the Recipe Builder within their program to calculate the SmartPoints on this recipe and others on the site. I have loved using Weight Watchers to help lose weight and learn to eat healthier, so I highly recommend it if you are looking for better health. If you are looking for a less expensive option, you can also purchase the Weight Watchers SmartPoints Calculator as an option for calculations of your recipes. 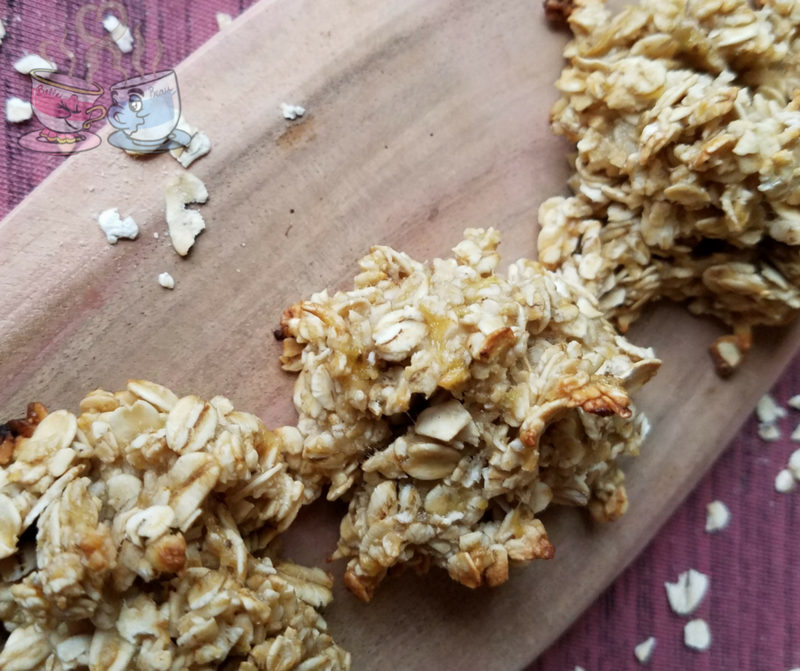 These Oatmeal Banana Breakfast Cookies freeze well and are great for a week or so in an airtight container in the refrigerator. I prefer keeping them in the fridge since it helps them last a bit longer. My favorite storage container is the Tupperware Snack-Stor® Large Container. It is just right to put cookies in and is slim enough to slide into the fridge out of the way easily. Perfect for my needs. These are so easy to make, and a great choice for the entire family. 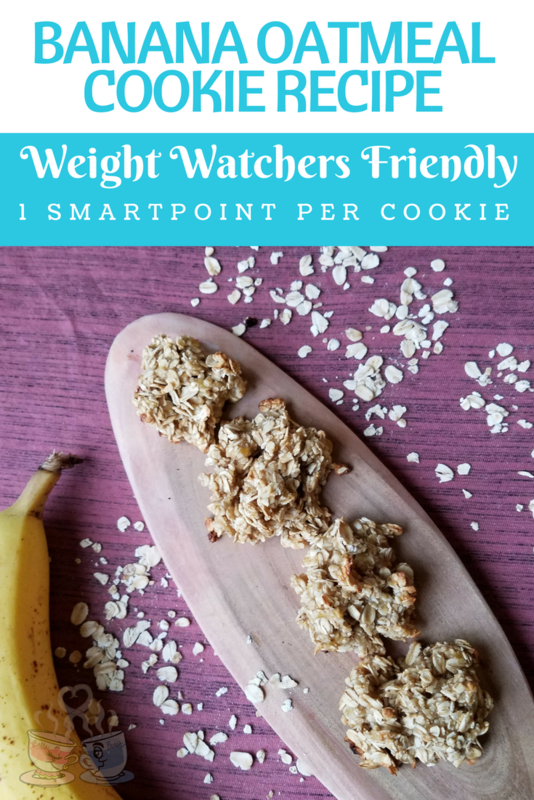 I use them as breakfast cookies to fit into my SmartPoints allowance with Weight Watchers. However, they are a perfect option for kids too for breakfast. The oatmeal and banana is super satisfying and a much healthier option than sugar laden granola bars and cereal. How many points plus would these be? So easy and so good, thank you! How many points on the new freestyle plan?? they look delicious! Will be making these soon, looks yummy. I am assuming that this direction, Mix oats, cinnamon, and cinnamon if desired., should read mix Mix oats Splenda or Stevia and cinnamon if desired. ?